Wondering what to do with what’s in season? 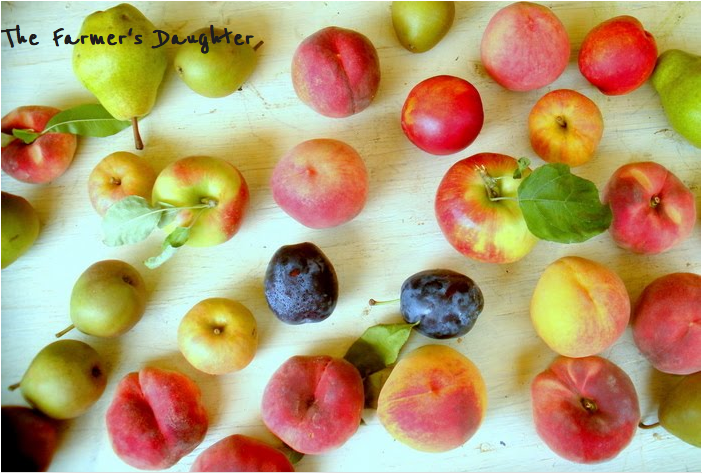 Caroline Finke, the daughter of Doug and Talea at Montgomery Place Orchards (mentioned in previous post) is the creator of the very accurately named blog The Farmers Daughter. It’s filled with recipes like Goat Meatballs and Zucchini Feta Pancakes. It’s also just a great reflection of the romantic joys of farm life, and personally helps me remember that they do indeed exist, even in light of crop failure or hail damage.